From the Archive: As the 12-year Afghan War grinds to what many Americans see as failure, ex-Defense Secretary Robert Gates and other hawks won’t admit their counterinsurgency “surge” in 2009 was a waste of lives and money or that U.S. Ambassador Karl Eikenberry was right when he warned President Obama, as ex-CIA analyst Ray McGovern wrote in 2010. No longer is it possible to suggest that Obama was totally deprived of good counsel on Afghanistan; Eikenberry got it largely right. Sadly, the inevitable conclusion is that, although Obama is not as dumb as his predecessor, he is no less willing to sacrifice thousands of lives for political gain. 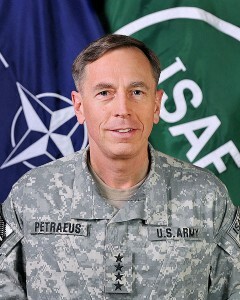 Gen. David Petraeus, as commander of allied forces in Afghanistan in 2010. That no estimate has been prepared on Afghanistan/Pakistan and the “unaddressed variables” is an indictment of Obama and his deference to the military. The President and other misguided Democrats are hell bent on preventing the bemedaled Petraeus from painting them soft on terrorism. Letting Petraeus run the policy, while avoiding any critical intelligence analysis, is Obama’s safe, and cowardly, way out. That did not change until September 2002, when Sen. Bob Graham, then-chair of the Senate Intelligence Committee, warned the White House that, absent an NIE, he would do all he could to prevent a vote on war with Iraq. That’s when a totally dishonest NIE was woven out of whole cloth (or, in the words of subsequent Intelligence Committee chair, Sen. Jay Rockefeller, fashioned from “created” intelligence) to hype a threat from non-existent Iraqi WMD. After that debacle, new leadership was given to the NIE process in the person of Tom Fingar, who had run the intelligence unit at the State Department. It was Fingar who insisted on a bottom-up review of intelligence on Iran’s nuclear plans, which resulted in an NIE that helped prevent Bush and Cheney from attacking Iran, or encouraging Israel to do so. That NIE, issued in November 2007, assessed “with high confidence” that Iran had stopped working on the nuclear weapons part of its nuclear program in late 2003, contradicting claims of Bush and Cheney. Of equal importance, the Joint Chiefs of Staff and other senior military had no appetite to take on Iran (or to acquiesce in Israel’s doing so) and insisted that the key judgments of that NIE be made public. The irony? If, as I have been told, the President put the kibosh on preparation of an NIE for fear it would leak, we now have an even more instructive kind of leak. Thanks to The Times and its courageous source, we now know not only that President Obama elected to forgo an honest NIE, but that he did so in the face of very strong urging from Ambassador Eikenberry that Obama “widen the scope” of analysis before he simply kowtowed to the Army brass. Ray McGovern works with Tell the Word, a publishing arm of the ecumenical Church of the Saviour in inner-city Washington. 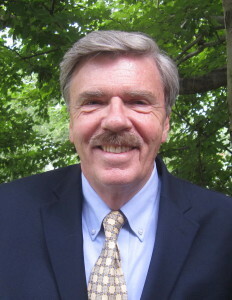 He came to Washington over 50 years ago and worked as a CIA analyst under seven Presidents. He now serves on the Steering Group of Veteran Intelligence Professionals for Sanity (VIPS). This was Eikenberry’s “Caine Mutiny Moment”, and he knew, just as most military officers know, that in the real world, Willie Keith would have done hard time at Portsmouth Naval Prison. Even Herman Wouk countenanced the idea that Captain Queeg could have been handled more gently so as not to tarnish the reputation of an old “war horse”. Manning and Snowden are today’s Willie Keiths – trapped in a paradox in which the only right answer makes pariahs of the good guys. You are absolutely right, Ray. EIkenberry should have resigned in protest when his warning within the administration was not heeded. And since it was leaked, it would make even more sense for him to do so. His dissenting view that the war was not going to go well was unambiguous, and he owed it to the country to sacrifice his position in the establishment to go public and warn against it. He should have been one of those for whom Dan Ellsberg has been pleading for many years to blow the whistle based on information they have about policies that are clearly wrong and against the national interest. It is a said commentary on the nature of the national security elite that he failed to do so. Looking back, this strikes me as a particularly sad example of how â€œDuty, Honor, Countryâ€ once taught at West Point has been eclipsed by â€œSalute Smartly, Go Along, Get Along.â€ In late 2009, U.S. Ambassador to Afghanistan Karl Eikenberry, U.S. ambassador in Kabul (a retired Lt. Gen. and one of the brighter of the West Point-trained caste) blew his chance to help bring to an end the carnage in Afghanistan. Likely as not, it was simply beyond his ken that he would be answering a higher duty-honor-country call by doing the honorable thing and NOT GOING ALONG sheepishly with what he knew to be a foolâ€™s-errand â€“ the time-limited â€œsurgeâ€ of 30,000 troops into Afghanistan. Eikenberry apparently lacked the courage to risk forfeiting his place in the Officersâ€™ Club and the Establishment. And so, he did not speak up publicly, as he watched Generals Petraeus and McChrystal and â€œwindsock Bobby Gatesâ€ maneuver President Obama into what boiled down to a decision to sacrifice our troops on the altar of political expediency. There is enough shame â€“ more than enough â€“ to go around. The list of issues he suggested such a â€œpanelâ€ would examine reads like what the intelligence community calls the â€œterms of referenceâ€ for a National Intelligence Estimate. 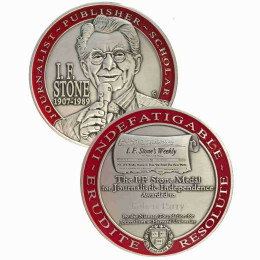 (I contributed to many NIEs and chaired a few myself. Good things can happen as a result of tell-it-like-it-is analysis. The Nov. 2007 NIE on Iranâ€™s nuclear capability and plans played a huge role in preventing Bush from launching a strike on Iran). So, just two years later, without an NIE, Obamaâ€™s White House deferred to Petraeus/McChrystal/Gates, who knew only too well how an honest NIE can derail plans for more war. With the received wisdom that accompanies those rows of medals and ribbons, who would need an NIE? 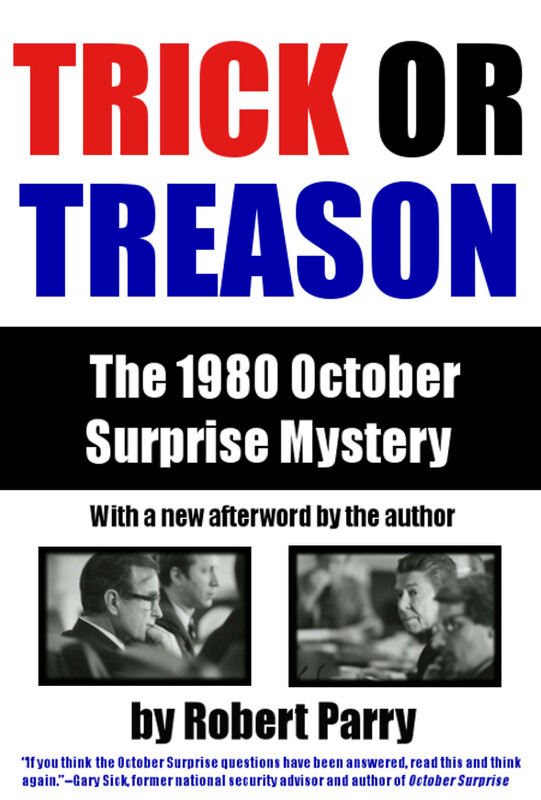 The generals and Gates knew that an honest NIE, in the mold of the one on Iran, would put the intelligence community on the side of reason (Eikenberryâ€™s), and they would have none of it. Their artfulness with leaks to the media regarding the â€œnecessityâ€ of a surge successfully mousetrapped Obama. And, like Brâ€™er Rabbit, Eikenberry didnâ€™t say nothing. Eikenberryâ€™s appeal for more serious analysis and his well-reasoned criticism of the logic of the surge had ended up in the circular file. At that point, he should have resigned on principle and made his views known publicly, rather than actively promote the misbegotten strategy Obama chose. Instead, Eikenberry took the cowardly way out; he saluted sharply, reversed himself, and spoke publicly in favor a surge he knew was noxious nonsense and would leave lots of troops and other people dead â€“ and for what? Look at Afghanistan now. Was it too much to ask a retired Lt. General to put real duty, honor, country first and SPEAK OUT â€“ and try to prevent further death and destruction from yet another feckless escalation? Instead, Eikenberry took active part in a fraudulent sales-job with Congress and U.S. allies, with thousands more casualties and destruction the result. The story is so common now â€“ and so corrupt. Eikenberry placed priority on staying in good odor with the West Point alumni/fraternity and the Establishment. I wonder how he regards his behavior in retrospect, as Afghanistan disintegrates after four more years of unnecessary carnage â€“ and apparently, one more to go. Contrast that with Chelsea Manning and Edward Snowden, who never went near West Point but had duty, honor country circumcised on their hearts. They knew instinctively they could NOT sell their souls â€“ and sell out their comrades and the rest of us â€“ for personal advancement and comfort. Mr McGovern, thank you for your service, and great article. What you present here is a glimpse inside the working of our military verse it’s civilian leadership. I am with you that all officers are not honorable. I saw this first hand some many years ago when I served in the Navy. What your article points out though, is the good guys don’t always make it to the top. Yet, the real top turns out to be on the bottom. You probably know the story of John F Kennedy asking Dwight Eisenhower to meet him (JFK) at Camp David. Ike advised the new young president on where he (JFK) went wrong in his handling of the Bay of Pigs. Kennedy would later go on to prevent WWIII with his brilliant actions with his handling of the Cuban Missile Crisis. With all of what is going on currently in the world we can only hope President Obama has had his Kennedy/Eisenhower moment. I hope!